Again, from the recycle pile, I found something very nifty. It was a broken Amazon Kindle 2 with 3G cell modem. The screen was very messed up. I attempted to charge it, which seemed to work. I was able to connect it to my computer, and see the files on it, so I knew it was somewhat working. 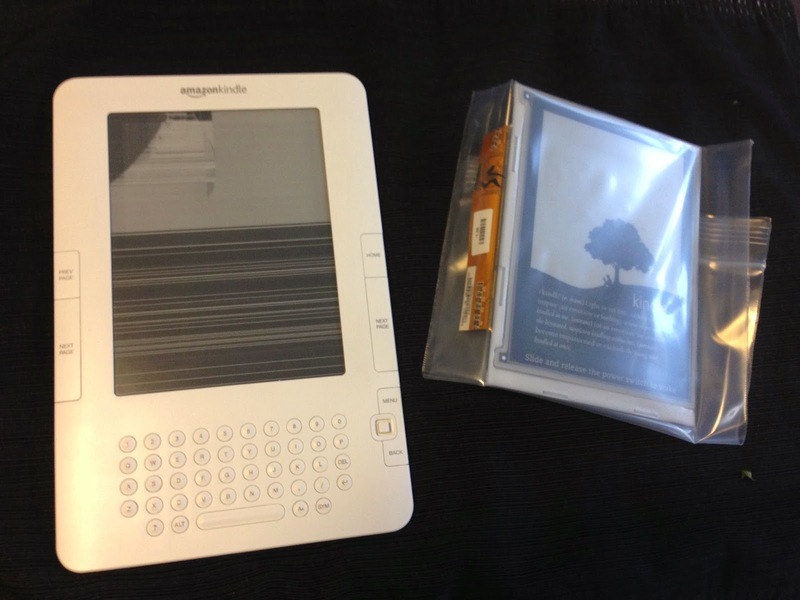 A quick search on ebay showed a used, working eInk screen was $20. I asked around on a few Kindle boards online about repairs, or getting Amazon to repair it, and the basic overall response was "just buy a new one". That wasn't the point. I eventually decided to drop the $20, order the screen, and take my chances that the main unit works and has decent battery life. A few days later, I received what you see above. 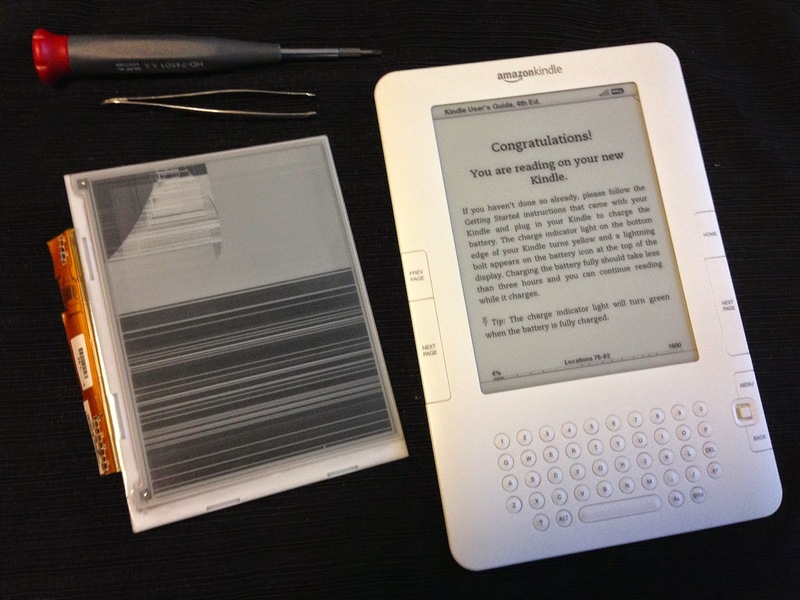 I love how eInk displays hold their last image. It's a pretty good sign that this one has a standard Kindle startup image showing on it. Lots of screws holding this thing together. After assembling and reassembling it a few times I got pretty fast at doing the whole procedure. 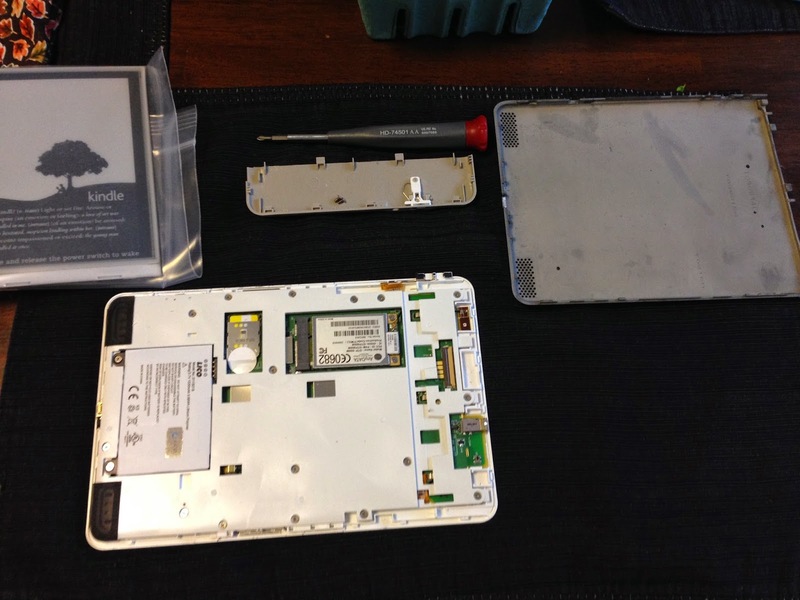 I wouldn't have been able to do it without resources like iFixit who provided teardown and disassembly procedures. The battery removed from the left. 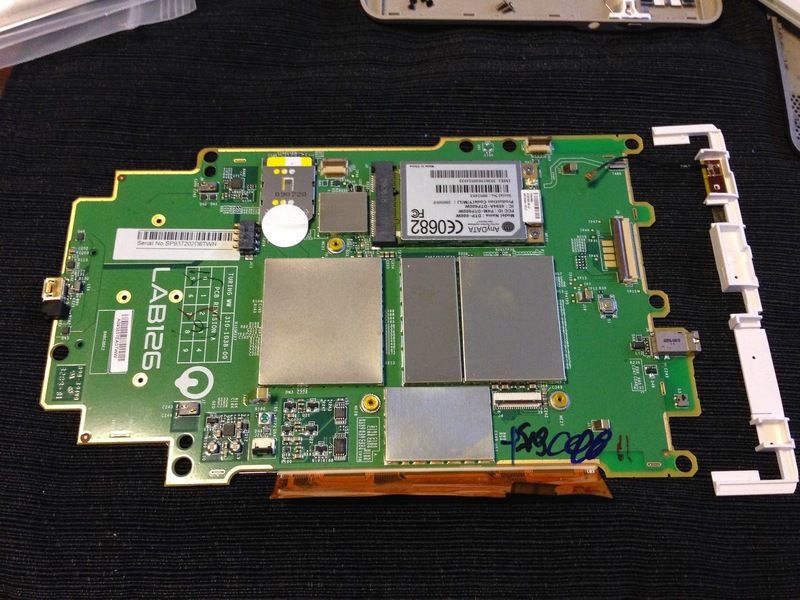 You can see, left to right, Battery bay, 3G sim card slot, cellular modem. 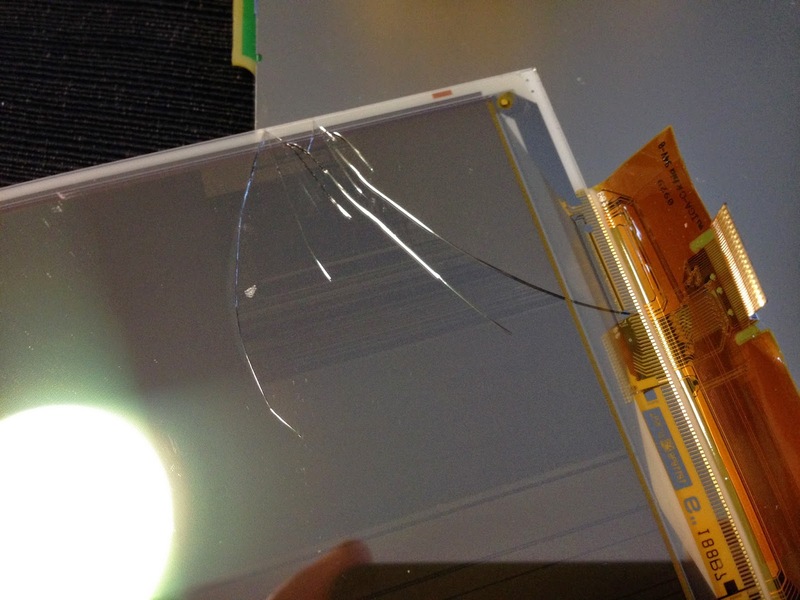 The orange bit at the top is the display screen ribbon connection. 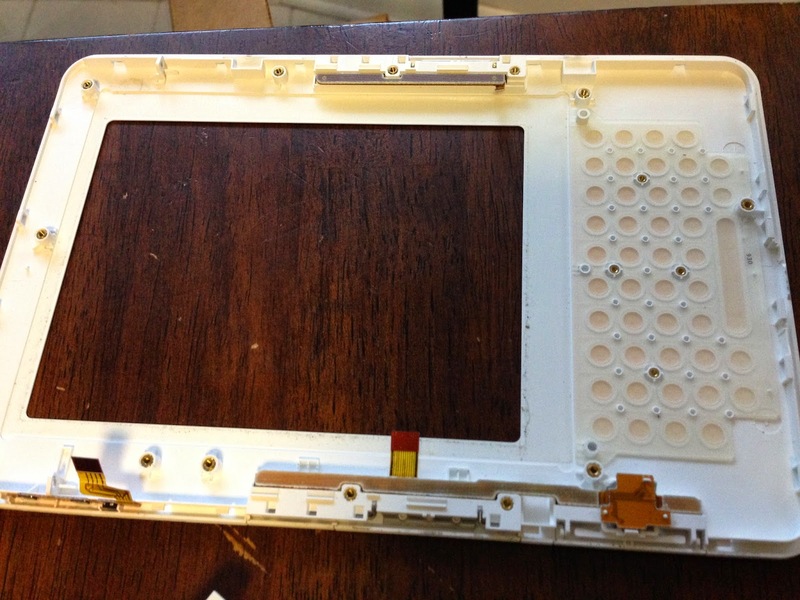 The inside of the upper case, showing the orange flex cables for the side buttons and such. Just for good measure, here's the entire board, removed from the casing. That explains the bad screen display. All in all, it took about an hour. I had to disassemble and reassemble it a few times to get the display flex cable seated properly, but once it was, it all just worked. Battery life is still excellent on it, the 3G service works great, and I've loaded it up with a bunch of books to read. I hacked it a little to change the sleep display images but other than that, it's pretty stock. Not bad for $20 and some manual labor!